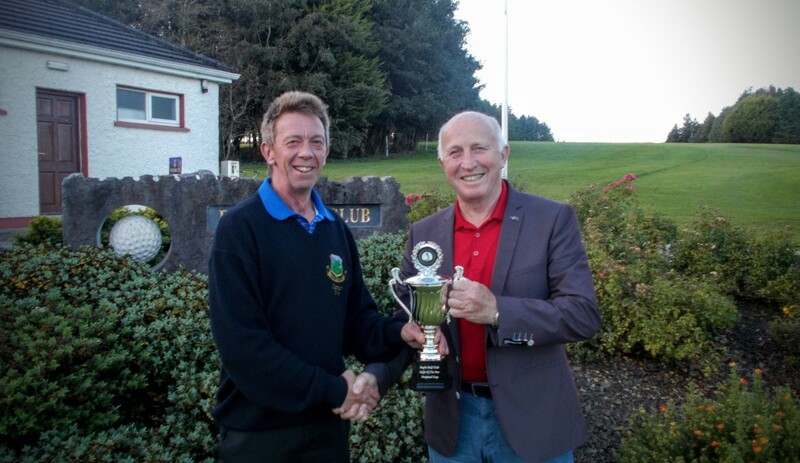 The rescheduled Boyle Motor Works Cup took place last Sunday. The winners came from the final grouping of the day, with Brendan Gaffney & Susan O’Mahoney’s score of 62.5 pipping the pairing of Ross Andrew and Marie Hanmore-Cawley by half a shot. In third place was the combination of Patrick Egan and Claire Cryan with 66. A club outing to New Forest Golf Club was held last Saturday. The top three players all recorded the same score of 32pts, with Paul Connolly emerging the winner on a countback. Vincent Egan and Ross Andrew took second and third prizes respectively while the ladies prize was won by Liz Dwyer. Thanks to Michael Rush for arranging the outing. Last week’s weekly 9 hole stableford was won by Michael Rush with 22pts. In second place was Terry Canning with 21pts. Presentations were made on Sunday evening to prizewinners of a number of different competitions. In addition to those competitions detailed above, prizes were awarded for the Golfer of the Year and the King Harmon Cup. Similar to McIlroy picking up two trophies in Atlanta at the weekend, it was experienced golfer Seamus Gallagher who was the recipient of these two pieces of silverware at Knockadoobrusna on Sunday evening! Both accolades recognise consistent quality play over the course of the season. The runner up in the King Harmon matchplay was Seamus’ club foursomes partner Jonathan Egan. In the race for Golfer of the Year, Seamus held off the challenge of former title holder Gary Carty, and that of Sean Heslin, who finished second and third. Congratulations to Seamus on his very successful year. Runners up – Martin Higgins & Marie/Seamus Gallagher €40 each. This weekend (Fri-Sun) the Drumderrig House Cup will take place. The format is a 3 ball shambles. See here for full details. Thanks to Paula and staff at Drumderrig for their support of the event. Also, the weekly 9 hole singles stableford continues this week (Mon-Sat). Looking further ahead, the Winter League will commence the weekend after next. Teams will comprise of six players each, and the competition will be played using Ryder Cup format. See the club noticeboard for full details. A sign up sheet is also available there. The weekly 9 hole competition began last week and will run every week over the next few months. The winner of the first competition was Michael Rush with 21pts. In second was Terry Bright with 20pts and in third was Pat Conroy with 20pts. It will continue this week Monday-Saturday inclusive. On Sunday the final Golfer of the Year competition will take place. The format is an 18 hole stroke. On Sunday evening the presentation of prizes for recent competitions will takes place. These will include the King Harmon Cup and the Golfer of the Year for 2016. The Boyle Motor Works Cup (Mixed Foursomes) which was postponed has now been rescheduled for Sunday 25th September. Friday evening’s scramble was won by Gary Carty, Michael Reid and Tommy King with 3 under par. The weekly 9 hole stableford competition returns this week. It can be played any day Monday through to Saturday. Entry is €5, re-entry €3. This upcoming weekend the Boyle Motor Works Cup – 18 Hole Scotch Mixed Foursomes competition will take place. Players can play either Saturday or Sunday. For assistance arranging partners contact competition secretary Michael Rush. An outing has been arranged to New Forest Golf Club on Saturday 24th September. The cost is €40 for a round of golf and dinner. Please put your name on the sheet provided on the noticeboard if you wish to go. A fifth place finish in the King Cup for Seamus Gallagher was sufficient for him to secure the title for 2016 with one event yet to be played. This caps off a great golfing year for Seamus having won the the club matchplay title – The King Harmon Cup and the first major of the year – The Committee Cup. These results along with other notable performances have ensured that Seamus takes the accolade for this year. Well done Seamus!